Provide comfort for the family of Linda Lavalley with a meaningful gesture of sympathy. Linda Hammons Lavalley, 62, wife of Jonathan Lavalley, passed away Saturday, February 23, 2019. Born in Georgetown, KY, she was the daughter of Virginia Mallory Hammons and the late Goebel Hammons, Jr., both of Georgetown. A Paraeducator at Southern Elementary, she was passionate about working and helping “her kids” with their reading assignments. She loved going to the beach, reading a good book and being “Lala” to her grandchildren. Linda would travel any distance to watch her grandkids play their favorite sport, musical instrument, or dance. She was their number one cheerleader. Linda was everyone’s friend and would light up the room with her laughter and smile. In addition to her mother and her husband of 44 years, she is survived by her daughters, Sara Beth (Josh) Romans-Alexander, Georgetown, Erin Lynn (Danny) Romans, Lexington and Kari Michelle (Matthew) Virse, Stamping Ground; siblings, Susan Beth (Willie) Breen, Georgetown and Barry Lynn (Diannah) Hammons, Stamping Ground; grandchildren, Devin Scott Romans-Alexander, Kylie Nicole Romans-Alexander, Caroline Gail Romans, Daniel Reilly Romans, Mercy Zane Romans, Ryann Elizabeth Virse and Larkyn Nicole Virse; as well as numerous nieces and nephews. In addition to her father, she was preceded in death by her brother, Jimmy Hammons. A memorial visitation will be open to the community 4-8 PM Friday at Johnson’s Funeral Home. Funeral services will be private. In lieu of flowers, contributions can be made to Scott County Schools. That money will go towards the purchase of children’s books for elementary students in Scott County in Linda’s honor. Please write on cash envelope or check: In Memory of Linda Lavalley, Scott County Schools, 2168 Frankfort Road, Georgetown, KY 40324. 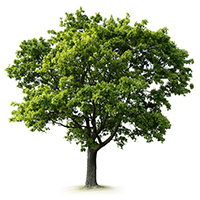 To plant a memorial tree in honor of Linda Hammons Lavalley, please visit our Heartfelt Sympathies Store. To the loved ones of Linda, I am so very sorry for your loss. At such a difficult time may the words of our God Jehovah comfort you. He promises that soon everything that causes us pain, including death, will be gone forever (Rev. 21:4). We also have the hope of our loved ones being resurrected here on earth, as Acts 24:15 tells us. I do hope you find comfort in these scriptures. For more comfort from the Bible please visit JW.org. Please accept my sincerest condolences.